With the 2014 NFL draft set to be completed sometime, allegedly, before the 2015 draft starts I thought I would add my two-cents into the menagerie of draft analysis that is currently proliferating throughout the web these day. As evidenced in my other NFL related posts, I am not an expert on all matters related to the NFL and, worse, I am a Bears fan so the opinions below should be taken with a grain of salt. A grain of salt that just happens to be the size of William Perry. In this round the first 352 picks were made by a varying number of teams depending on how much coffee or energy drinks each team’s representatives brought with them. There were a number of surprise picks in this round; not least of which was Jerry Jones’s (the completely sane and completely responsible owner of the Dallas Cowboys) choice of himself with the 16th pick overall pick of the draft. 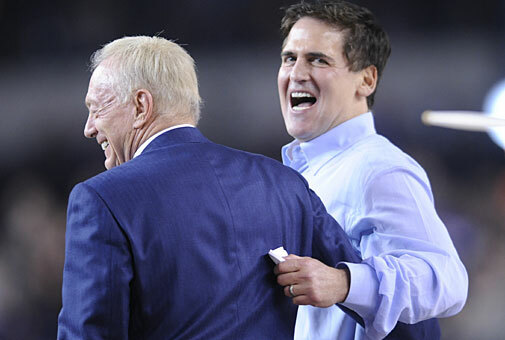 Not to be outdone, Mark Cuban (the completely sane and completely responsible owner of the Dallas Mavericks) picked himself as well despite the fact that his team, in fact, isn’t even in the NFL. When asked why he did this Mr. Cuban responded simply and contritely,”I’m Mark ‘Don’t-try-to-upstage-my-crazy-Jerry’ Cuban!” Well said. Just try and top that Jerry! Besides the Dallas owner’s picks, another notable, and perhaps the best, draft pick was made by the Oakland Raiders who, after being resoundingly rejected by the Cleveland Browns when offering to trade their entire team for a cup of coffee, picked every punter available in the draft (this is legal with punters and kickers because, really, who cares?) 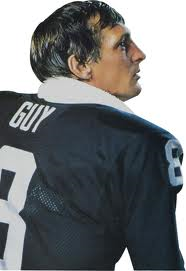 in hopes of finally replacing Ray Guy. It was a wise decision for a team that has no real hope of getting a first down this season. In addition to the Raiders drafting a plethora of punters, I also loved who the Washington Redskins picked in the first round. Not unlike most years, round two saw a lot of players drafted. On the third day of the draft, I thought things got really interesting. The Cincinnati Bengals showed a lot of courage when they pushed through the inevitable caffeine crash from the first two days of the draft and selected the brother of one of their more famous running backs, Ickier Woods. The only thing that would have made this pick better would have been if Ickier Woods actually existed; it’s these tough breaks that keep most NFL owners up late at night – that and illegal substances. Is it too soon to ask for a trade? A close second to the Ickier Woods pick was The Arizona Cardinals picking Dan Dierdorf. 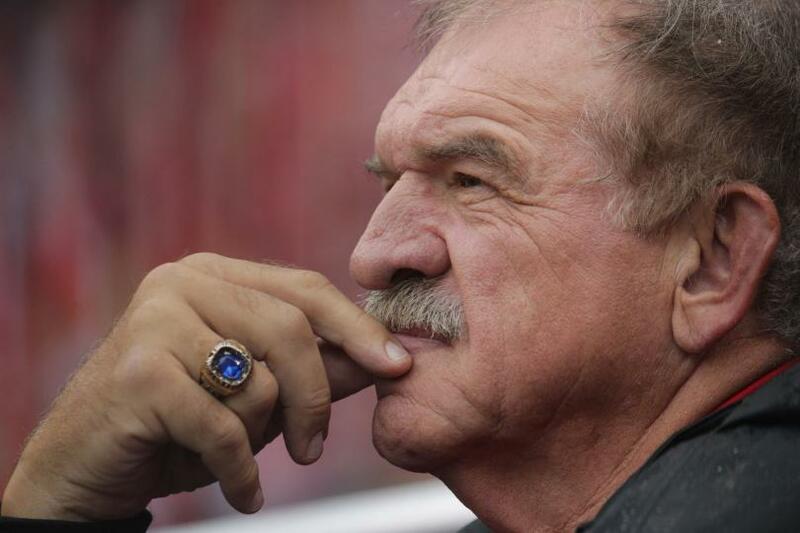 For those of you who aren’t familiar with Dan Dierdorf, he is a Hall of Fame offensive tackle who recently retired from broadcasting at the tender age of 125. Despite his age he will be a marked upgrade to the Cardinal’s offensive line. In an unexpected show of remorse by Bill Belichick, the New England Patriots traded their 4th and 5th round picks to the great state of Massachusetts as way of apology for drafting Aaron Hernandez in 2010. 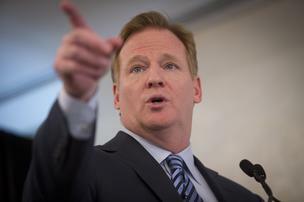 The next 67 picks have been awarded to…you Jerry Jones! As you can see a lot has happened thus far in the 2014 draft and I look forward to watching and regularly updating you all as the rest of the draft unfolds. 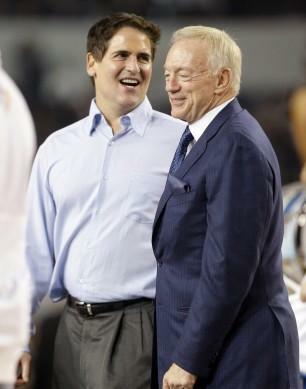 Update: Feeling that they may have made a mistake, the Oakland Raiders, I’m told, are now offering two of their punters to the Dallas Cowboys in exchange for Mark Cuban. I’m also told that Ickier Woods may be in play as part of a three-way trade. Good one Jerry, but I knew I was worth more than just one punter!